I don't really get these, but always wanted to try. Used a tripod and polarizer and just moved my camera up and down. All I see is blurry trees. I love these images, Leigh, and this is a great one. The movement created a very nice painterly abstract image. I think this would make a great print. Well done! 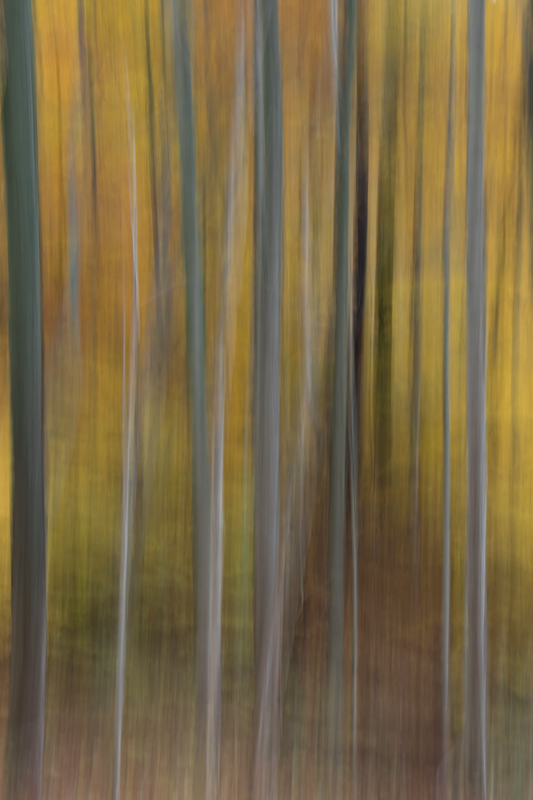 Well I see trees, but I also see a very nice curtain of color that appears to be in motion-really a lovely, dreamy abstract. Subtle and elegant. It would be verypleasant to look at while meditating.